Cashwell helped lead Seneca to an undefeated season and the South Jersey Group 2 title while also placing 11th at the individual state championships. Senior Eddie Cashwell holds the South Jersey Group 2 championship trophy he helped the Golden Eagles win during the 2018–19 boys bowling season. 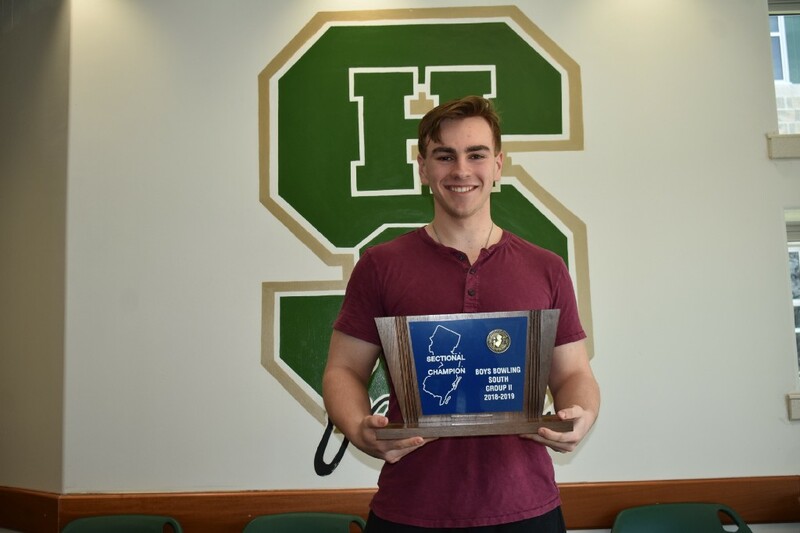 Cashwell is The Sun Newspapers boys bowler of the year after helping Seneca to its second sectional title in three years and finishing 11th at the NJSIAA Individual Championship. Seneca High School senior Eddie Cashwell’s final season of high school bowling went better than he could have ever imagined. Cashwell helped Seneca sweep through the regular season with a perfect 16–0 record. He was one of the top bowlers at the South Jersey sectional tournament, nearly bowling a perfect game and guiding the Golden Eagles to their second sectional title in school history. Finally, Cashwell qualified for the individual state tournament and was one of only three South Jersey bowlers to finish in the top-18 at states. This makes Cashwell an easy choice as The Sun Newspapers 2019 Boys Bowler of the Year. Cashwell’s 2018–19 season was the best of his four-year varsity career. 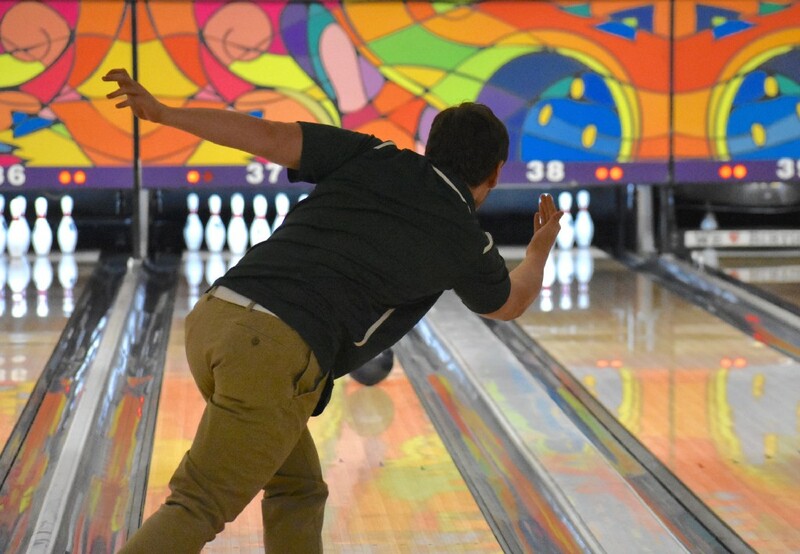 While he has been consistently one of the Golden Eagles top bowlers throughout his career and previously helped Seneca to a sectional title in 2017, he said this year was his best yet. As a freshman, Cashwell averaged a score of 192. By this season, his average was up to 207. Cashwell helped spark Seneca in the South Jersey sectional tournament in early February. After coming off an undefeated season, the Golden Eagles were determined to prove they were one of South Jersey’s best team. Cashwell got them off to a good start, bowling nine consecutive strikes in his first game. Cashwell entered the 10th frame for a shot at a perfect 300 score, something he hadn’t achieved before. Cashwell didn’t get a strike on his 10th roll, but he did finish the game with a score of 279, the highest single game of the tournament. As a team, Seneca scored 3,171, winning the South Jersey Group 2 tournament by more than 200 pins. Comparing this year’s sectional title to 2017, Cashwell said this year was extra special because of the margin of victory and how Seneca had rotated numerous bowlers into the fifth spot of its lineup all season. Cashwell got one final chance to shine on the high school stage at the NJSIAA Individual State Championships on Feb. 15. Cashwell had two excellent games of 236 and 254 in his first three-game series. Cashwell’s series score of 664 made him one of the top-18 bowlers out of the field of 76 to move on to the second round. In the second round, participants were required to bowl another three-game series. Cashwell had a blister pop on his thumb in the third game of his first series and had to battle through the pain the rest of the day. Despite this, Cashwell bowled a 190, 204 and 234 in his final three games. His final score of 1,292 across both series was enough to finish 11th in the state. Looking back on his season, Cashwell described it as a whirlwind and admitted he couldn’t have imagined a better way to finish his career. “It feels like it didn’t happen,” he said. The best part of the season for Cashwell was being able to go through it with a number of close friends. Cashwell had bowled with two of his senior teammates, Dylan Mattio and Mitch Tippin, for a number of years at Medford Lanes. Ellis agreed the closeness of the team was a big part of its success. “The more fun they had, the better they did,” she said.